Let me be clear. Joe Wilson’s “You lie!” outburst was not appropriate during President Obama’s address last night. I don’t think anyone would defend it. However, I think there are many people who would agree with what he said. In fact, people have been saying for weeks that this Health Care Bill will allow illegal aliens to be covered, abortions to be provided, and health care to be rationed. How the president mangages to continue denying this leaves some scratching their heads. 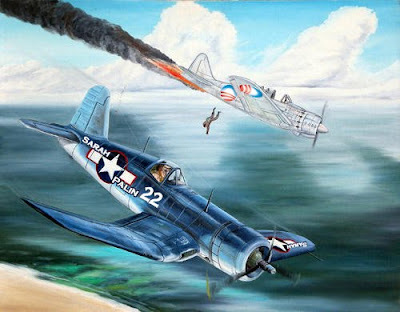 Perhaps Joe Wilson just reached his maximum and blew his top. It’s not right, shouldn’t have been done, but that doesn’t mean he wasn’t accurate. 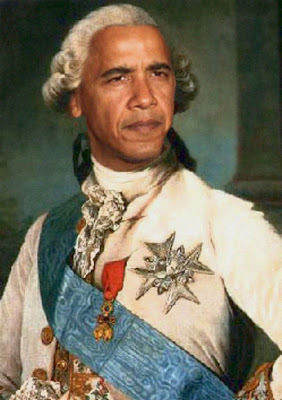 Did you see Nancy Pelosi and President Obama’s faces when Wilson’s voice boomed through the room? Pelosi gave him what Neil Cavutto called the Death Stare, and Obama looked to me like he had to remind himself that he wasn’t on the streets of Chicago where people sometimes handle such accusations in a less than civil manner. Joe Wilson’s outburst lacked professionalism and respect. But wait a minute. 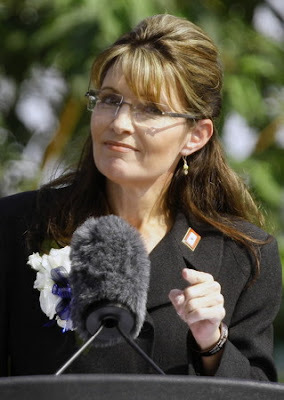 Did the President of the United States not call Sarah Palin a liar immediately prior? Should he not know that the manner in which he referred to her and to others who are not in agreement with his Bill is anything but professional? What was he seeking to accomplish? I loved Pres. Obama’s speech. It rallied dispirited Democrats, reassured disenchanted independents and intimidated Republicans. He called a lie a lie, and pledged to call out the right-wing thugs if (well, when) they continue lying. I’m not sure who Begala thinks the president intimidated. Clearly, Joe Wilson wasn’t intimidated, and surely Governor Palin is not intimidated, for she came right back with another Facebook note. The President can keep making unsupported assertions, but until he directly responds to the arguments I’ve made, I’m going to call him out too. Does this sound like someone who is intimidated? I dare say that Joe Wilson’s behavior, rude as it was, was no worse than the President of the United States using his address to try to scare those who disagree with him into silence and conformity. He not only promised to “call out” those people, but he pinpointed Governor Palin, whom he referred to as a “prominent politican.” He coined her concerns about health care as “laughable,” “cynical,” and “irresponsible.” He attempted to put her comments to rest by asserting, “It is a lie, plain and simple.” Governor Palin isn’t intimidated, but the president certainly sounds like he’s guilty of what Begala attributes to Republicans: thuggery. It is completely inappropriate for the leader of the free world to continue to refer to and attack a private citizen through sneaky back door comments. 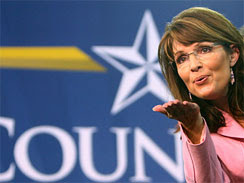 It is worse to call her a liar, which is exactly what President Obama called Governor Palin last night. Make no mistake; Joe Wilson did the right thing by issuing an apology for following the president’s accusations with “You lie.” It’s time President Obama followed Joe Wilson’s apology with one of his own. 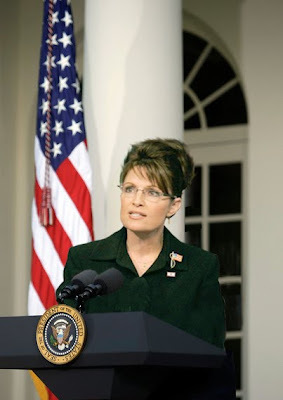 I’m sure Governor Palin would graciously accept–and then work with him on tort reform. Ride 2 Recovery has launched an online auction to help our nation’s wounded warriors. Todd and I are so happy to help such a worthy organization. Please click on this link to view the auction and begin bidding – and, as always, thanks for all your support (Palin, 2009, ¶1). 100% of proceeds from this auction will benefit the Ride 2 Recovery program whose mission is to improve the health and wellness of wounded warriors by providing a life changing experience that can impact their lives forever. Top bid on the dinner with Todd and Sarah Palin is at $38,166 as of September 10, 2009 at 5:27 PM EDT. Before President Obama’s address tonight on Health Care, I tweeted that I was wondering how many times he would refer to “death panels” or Governor Palin. I thought to myself that it was an unwise thing for the President of the United States to go down that road in this much-anticipated speech. However, his track record told me that he is much too partisan and much too focused on anything Sarah Palin says to avoid it. What stood out most to me was the manner in which he did it. Both his face and his voice changed noticeably as he did so. Although it’s not her purpose to get under his skin, it is clear that she is. President Obama might want to tackle a different approach. It really doesn’t look good when the President of the United States keeps attacking a private citizen. Even Marc Lamont Hill, a strong Obama supporter who admitted to Bill O’Reilly that he’s “more to the Left than most liberals,” stated that it was unwise for the president to take “cheap shots at Sarah Palin” in his speech tonight. Watch the video clip from The Factor by clicking here. Not only is it unwise, it doesn’t accomplish what it’s intended to: silence her. Sarah Palin is not going to be silenced on this issue. As he did tonight, the president can say she’s lying, he can threaten to “call [her] out,” and he can continue to send David Axelrod behind her to refute her words, but more and more Americans are realizing that she knows what she’s talking about, and they want answers from President Obama. I am so glad we have a true public servant who will not back down on this most important issue.